Job interviews can intimidate even the most hardened professionals. It’s a challenge to be on the spot and come up with targeted answers to questions that you may not have prepared for, especially when you want to be (or NEED to be) offered a job. Even if you’re a perfect fit for the job and a great communicator in normal circumstances, on the day of the interview you might find it difficult to convey your skills when stammering becomes your primary method of communication. But preparation… ah, preparation. It can foil the nerves and make you sound concise, even erudite. How do you prepare? With some online research and time spent considering your strengths, interests and needs, you can be prepared to answer a variety of interview questions. Below, we’ll cover the ten most common questions. With just a few well-constructed sentences, you can win over an interviewer and find the words to express just how perfect you are for the position. As you look over the questions below, think about how you might answer. Your responses don’t have to be wordy but, if you want the job, they do have to be well-targeted and speak to the point the interviewer is trying to get you to talk about. Tell me a little about yourself. The interviewer really wants to know how you’ve directed your life experience to be where you are today – and how they might benefit from your experience. A seemingly innocuous question, this one could sound like you’re being asked to share about your personal life. But, it isn’t a personal question. It’s an opportunity, like every other interview question, to tell the interviewer how you fit in to the company or position. When sharing bits of your history, include accomplishments or experiences that have helped prepare you for the job you’re applying for. Make your answer succinct; don’t expand on your entire personal or professional history. How much do you know about the company? The interviewer really wants to know if you’ve done your homework and knew what you were getting yourself into before you sat down for the interview. You could give a simple answer, something you found on the company website, but the interviewer has already heard that from candidates they didn’t hire. Make a short statement focused on what you know about the company’s goals, vision and culture and add a personal touch about how you gravitate toward, and might support, those goals. What is your greatest professional accomplishment? The interviewer really just wants to hear you say that the work you’ve done has had a positive, productive result. Give the interviewer some context before you dive into what you did and what was achieved. If you’ve singlehandedly reworked the company’s operational goals, improved workplace efficiency, or increased revenue by 500%, say so. For some in the work force, this will be a tough question to answer. If you’re not a manager or process developer, your positions might not have afforded you the opportunity to accomplish extraordinary things. But in each position, there is room for accomplishment. Describe any way in which you’ve excelled at your position and highlight the results of your efforts, even if the results aren’t mind-blowing. You might have more to say here if you’ve expertly managed finances to reduce expenses by 25% or managed company mergers. Don’t be shy about stating your accomplishments, no matter your previous experience. Why are you looking for a job? Why did you leave your last job? The interviewer really wants to know if you were in a position that didn’t fit you, if you behaved badly, or if you’ll make excuses to explain why you’re interviewing. No matter the reason you’re looking for a job, keep it positive. Don’t throw anyone under the bus, even if you had to leave your last job because the manager was inept, yet entrenched, and brought down the morale of everyone in the office. Give a short explanation and then state that you’re trying to find a better fit, and you believe the company you’re interviewing for is that fit. Why do you want this job? The interviewer wants to know if you really want the job and understand the company and the role you’ll be playing. Employers want to hire someone who is enthusiastic about the job. This is another opportunity to fill your answer with reasons you’d be a great fit for the job and company. Rehash why you are the best pick for the role and why you’re excited about working for the company. Talk about how you think you can contribute immediately and make an impact long-term. Why should we hire you? The interviewer really wants to know why they should care that you want the job when so many others do too. Here is another opportunity to tell why you’re the best hire. Try to stay away from half-hearted responses like, “I’m fully capable of the work required.” Focus on how well you’ll fit into the culture, that you’re great to work with and how thrilled they will be with their choice when you use your skills and experience to their benefit. Where do you see yourself in 5 years? The interviewer really wants to know if you’re interested in moving through or moving up. This is not a personal question. It’s about where you see your career going. If you’re interviewing for a job that has no room for advancement, don’t say, “I see myself growing into a new position with the company.” In most professional roles, there is a need for ambition and drive, so an answer focused on growth would be appropriate. Demonstrate that you have realistic expectations of the position and your trajectory, and know that it’s ok if you don’t have it figured out yet. Maybe this position will help you define what’s next. Do you have any questions for me? The interviewer wants to see if you’ll take the easy way out and say “No.” Always, always, always say, “Yes” to this question. 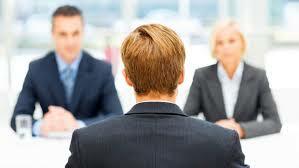 Before your interview, do some online research to identify questions you might ask the interviewer. (We’ve posted an article with some great questions to ask, which you can find at: https://aclivity.com/questions-to-ask-in-an-interview/ ) When this question comes up, you have a chance to learn more about how the company might be a good fit for you. Ask about the team, the pressure, the expectations, the down-sides – anything to gain insight into the reality of working for the company. When you have been offered an interview, it’s important to make the most of the opportunity. Being prepared to answer the interviewer’s questions will help you feel at ease while you are trying to make a positive impression. It will also help you stand out from other applicants. Remember that job hunting is about finding the right fit. Though you want to convince the interviewer to hire you, be sure it’s a job and company that really fit what you have to offer and can support you in taking your career where you want it to go. For more interviewing tips, or to take advantage of our Career Services, contact us today!